Everything your basketball or soccer player needs for travel and practice. 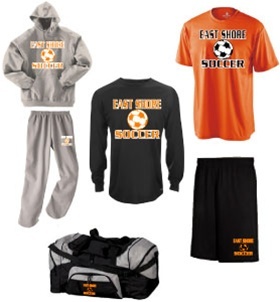 Package includes printed t-shirt, shorts, long sleeve shirt, warm up sweatsuit and travel bag for one low price. Match your team colors and logo on all pieces.